In order to mark the conclusion of the 70th Chaturmas Vrita (in Vijaya Nama Samvatsar) of our Parama Poojya Guruvarya H.H Shrimath Sudhindra Thirtha Swamiji (Mathadhipati of Shree Kashi Math Samsthan) H.H Swamiji will perform Mrittika Visarjan at Konchady Shri Kashi Math on Thursday|19th September 2013 and will be visiting Shri Tirumala tatha Lakshmi Narasimha Temple, ULLAL for Seemollangan Karyakram, followed by visit to Sri Venkataramana Temple, MANGALORE. 1:00 PM : Shree Samsthan Pooja by H.H Shrimath Sudhindra Thirtha Swamiji. 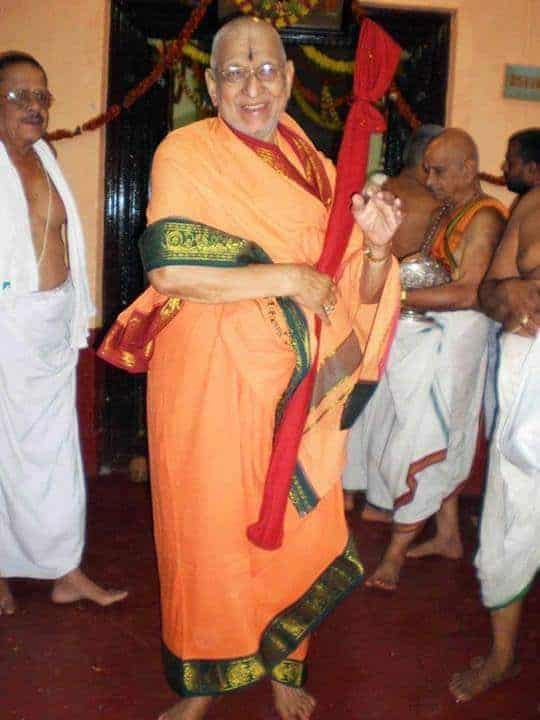 05:00 PM : H.H Swamiji will be performing Mrittika Visarjan at Konchady Shri Kashi Math and proceed to Shri Tirumala tatha Lakshmi Narasimha Temple, ULLAL for Seemollangan. This will be followed by H.H Swamiji’s to Sri Venkataramana Temple, Car Street, MANGALORE at 08:00 PM. Samaj Bhandavas are expected to participate in large numbers and be a part of Shri Hari – Guru Kripa.